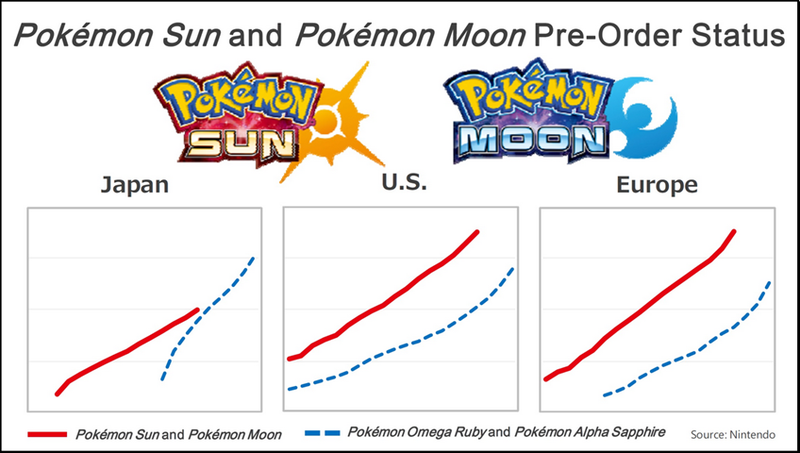 According to a Nintendo press release, Pokémon Sun and Pokémon Moon are now the most pre-ordered games in the company’s history. Meanwhile, the game’s 3DS demo has been downloaded over 3.5 million times. No figures were given for exactly how much the games have been pre-ordered, but Nintendo included some favourable-looking charts in Tatsumi Kimishima’s presentation to investors yesterday (below). Nintendo also notes that the demo is now officially “the most downloaded demo on the Nintendo 3DS eShop.” Not bad for a week’s work, eh?